The Marian Centre, the leading mental health centre in Perth, Western Australia, has selected CarePlus™ Nurse Call and Messaging system as part of their $10.8 million redevelopment for the facility. NiQ Health would like to congratulate CarePlus™ Gold Partner ELA in securing the tender to install the CarePlus™ nurse call solution at the Marian Centre. ELA’s experience in designing and integrating electronic systems, nurse call and healthcare applications makes them the most successful integrated solution provider for the public and private health care industry. The Marian Centre, operated by Healthe Care Pty Ltd, is a privately owned psychiatric centre, providing dedicated high quality patient care and a range of treatment programs. The clinical care team at the centre provides professional, inclusive and excellent standard of care for the patients. 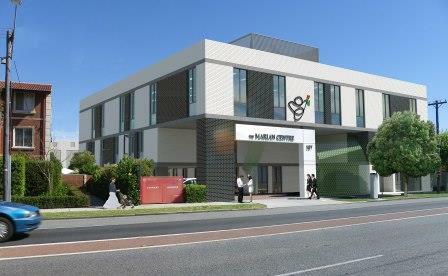 The refurbishment and expansion project, currently under construction, will increase the bed capacity from 31 to 66 for inpatient services, with additional consulting suites to meet the growing demand for quality mental health services in Western Australia.